As children, we are taught the difference between right and wrong. Our parents and other family or community members reinforce those lessons of how to conduct ourselves. For the most part, by the time we are old enough to “know better,” we do. However, for some people that home training doesn’t stick or maybe they didn’t get it. These folks have an entirely different code for living. They think nothing of stealing from friends, family and strangers. They take items from cars, homes, businesses, and governments. They live to steal. Some forms of theft may seem more subtle, such as stealing from the cable company or the power company. Criminals may rationalize their actions, but their conduct hurts us all in some fashion. On top of this, there’s another kind of energy thief. You may have run across someone like this and never even thought twice about it. Think back and see if you remember feeling overtired after being with a person for a short while or even after engaging in conversation with someone. You might notice that some routine task you perform at work or elsewhere is especially difficult – and you aren’t sick and didn’t begin the day overtired. Did that ever happen to you? If so, you may have encountered an energy thief. This is an actual process where some people have the ability to siphon off your energy. Most of us are unable to block such a specialized talent. The only saving grace is that most energy thieves, or energy vampires, as they are also known, need to be in close proximity to effect the transfer. In most cases, an energy thief is someone in a negative mindset. Perhaps it’s someone: who blames others for everything, who is insecure and worried about everything, who is jealous of another’s happiness, or who is a killjoy and doesn’t want anyone to have fun. You might feel these effects after being around a bully, a drama queen, a gossiper, a whiner, or even someone with a short temper. I bet by now you are nodding your head in agreement. These symptoms are often reported after being near people who sap your energy: exhaustion, lack of focus, and depression. Long term exposure to an energy vampire may lead to a lack of motivation, a pale complexion, and general malaise. Starting to sound scary, right? What if an author decided to take this real-life phenomenon to extreme? What if energy vampires required energy from others to survive? What if they intentionally drained people past the point of no return? What if they selectively preyed on vulnerable people? In Dadgummit , book 4 of my Dreamwalker Mystery series , I’ve placed an energy vampire in the mountains. Further, he’s befriended a young man in the community who knows everyone. This young man becomes the spotter for the energy vampire so that the targets don’t complain and generally aren’t missed. The story begins with the death of the spotter. His body is positioned beside a lake, and his peaceful repose is at odds with the fact that his life was stolen from him. Life changes for the energy vampire, and local cops realize they need a different kind of sleuth to solve this crime. Lucky for them, Baxley Powell is vacationing in the mountains when these two former partners have a falling out. 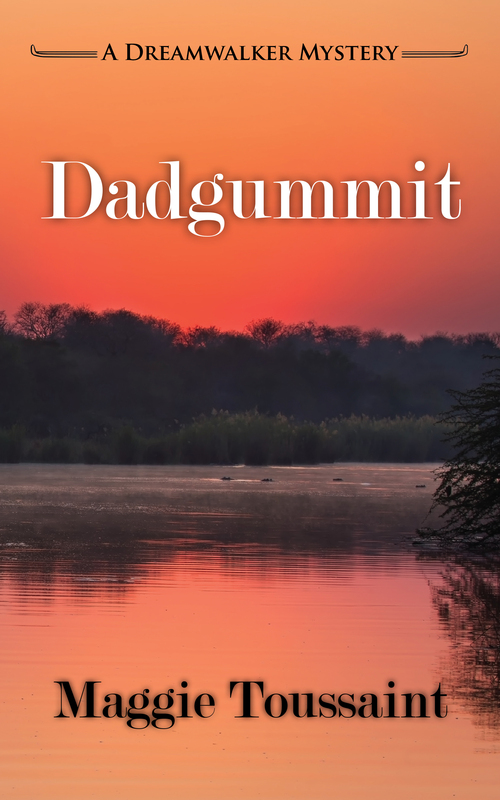 For more about energy vampires, check out Dadgummit by Maggie Toussaint. I’d love to dreamwalk again. Thanks for a chance to win a copy. Ohmygoodness, I do SO know a couple energy vampires. Mostly in my past, so that’s good! Thanks so much for having/hosting a giveaway! This is a new series to me. I can’t wait to read more about Baxley and dreamwalking.